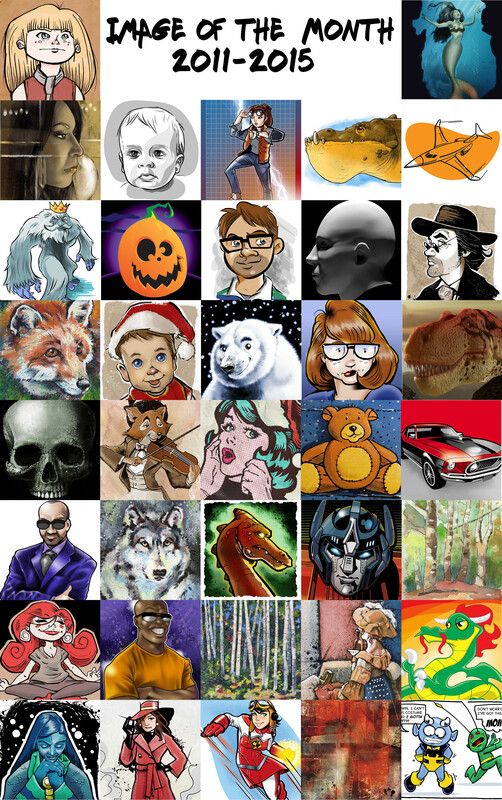 While going thru some old images on my computer’s hard-drive, I found a bunch of images I did for a drawing challenge I did for myself. I tried to do one good personal image a month for as long as I could. I managed it more or less for four years. These should be most of them. They have all been posted on the blog at one time or another. All were done using various programs (a few of them were traditional media work as well).